Akron’s Summit Lake isn’t quite back to its glory days as the city’s “waterfront playground.” But a new report finds it is cleaning itself after years of industrial dumping and other abuse – at least to the point where it’s safe for boating, fishing and birdwatching. WKSU’s M.L. Schultze has more on the attempt to make the lake an attraction instead of a liability – and to reconnect an isolated part of the city. 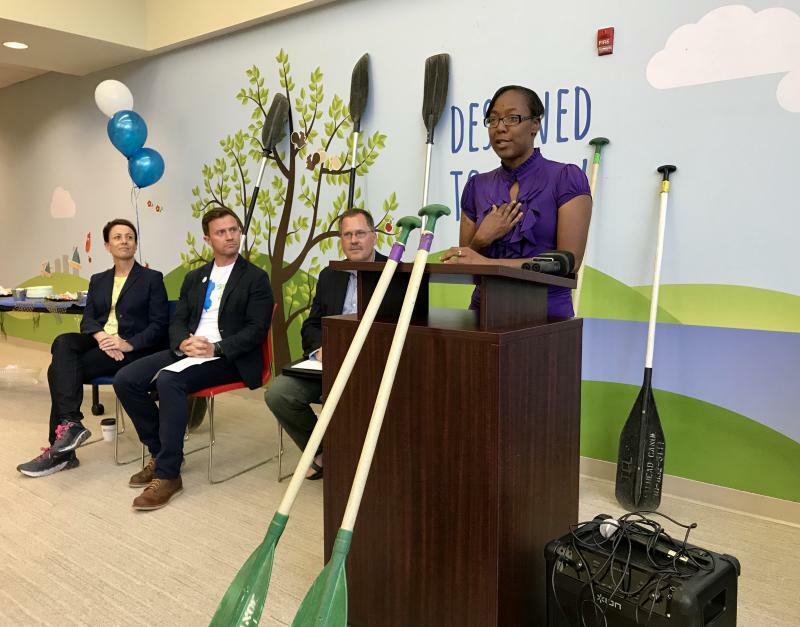 Akron Councilwoman Veronica Sims looks shaky even after she slips off her heels and settles into the front of the canoe, clutching a paddle. Canoeing makes her nervous. But Summit Lake, she says emphatically, does not. Not its legacy of industrial pollution and sewage run-off — not even the urban legends of alligators, dead bodies and a sunken ferris wheel. 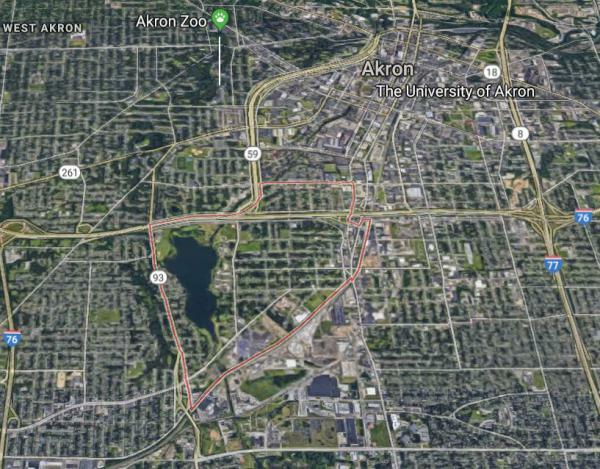 The study was done by the company EnviroScience as part of the Knight Foundation’s Civic Commons effort to reconnect some of Akron’s neighborhoods via the Ohio and Erie Canal corridor. 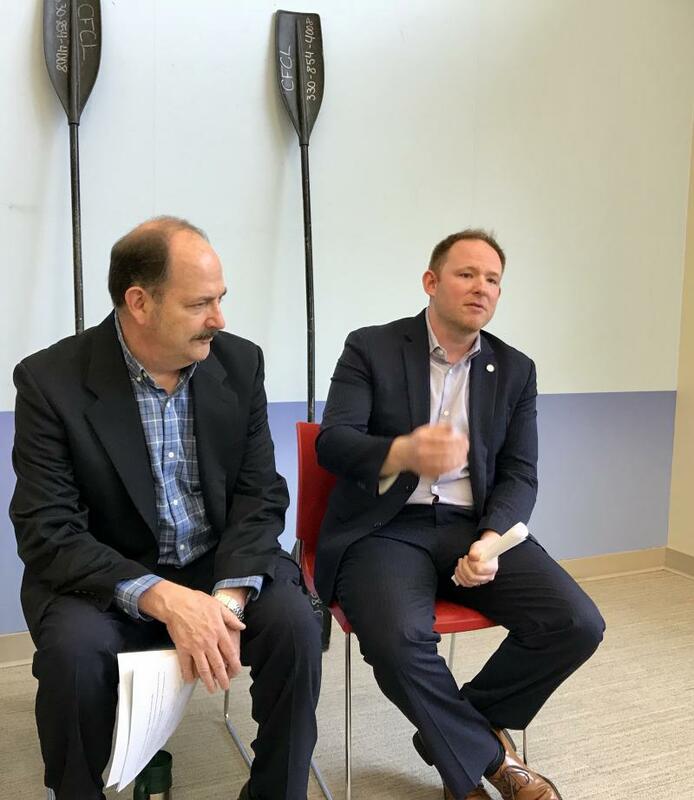 The report is nearly a hundred pages thick, but Dan Rice, the head of the Canalway Coalition, summed it up quickly at a presentation Wednesday morning. The report presented by Rice and other Civic Commons partners at the Summit Lake community center follows up on signs of progress earlier this year, when the Ohio Department of Natural Resources OK’d consumption of even bottom feeders like catfish from the lake – albeit on a limited once-a-month basis. Joe Hadley of the Northeast Ohio Four County Regional Planning and Development Organization, which oversaw the study, cautions that Summit Lake is not perfect. There continues to be occasional oil spills and signs of toxic algae and metals in sediment – though at levels well below the thresholds for human safety. But there are increasing signs that both are thriving: blue gill and small-mouth bass in the water, with blue herons and other birds nesting on its edge. James Hardy, Akron Mayor Dan Horrigan’s chief of staff, drew a parallel with other urban lakes. But the homes around Summit Lake include some of the poorest in the city of Akron. And the Canalway’s Rice notes urban development isolated the neighborhood decades ago. His hope is that the Canalway reconnects the area to the rest of the city – without the downside of gentrification. And though the Enviroscience report focused on the physical condition of the lake, the presentation included references to broader social concerns. Star Saulsberry moved into the Summit Lake neighborhood three years ago, and remembered her first Civic Commons meeting. Instead, she says, there was consultation and collaboration giving her neighborhood ownership of plans to turn Summit Lake into a recreational hub. But ownership also takes a bit of a culture shift. Fabian Ferguson is preparing to launch a kayak into the lake. He acknowledges there are old images to deal with. The perception he worries about now is one he says comes with poverty—that his neighbors won’t see their stake in the lake and use it. So Ferguson sees his mission as convincing his neighbors a clean lake is theirs to enjoy.